Too many times we don’t get the opportunity to learn a person’s story or enjoy their journey until after they have gone. But thanks to the work of renowned director, Dorsay Alavi, the world will have the opportunity to ride the notes that create the melodies of the life of Wayne Shorter. With the release of her first full length documentary, “Zero Gravity” in 2014, we have the opportunity to enjoy the life and legacy of this musical genius while he walks amongst us. Wayne Shorter is a jazz saxophonist and musical composer that has earned his rightful place in history through music. He has been the heartbeat of music for many phenomenal musicians such as Herbie Hancock, John Coltrane, and Miles Davis. His story is similar to all others with twists and turns, ups and down, peaks and valleys, but his story is set to music which created a beautiful song about his life titled Zero Gravity. His story has never been told to this extent before, however, through Dorsay Alavi, the world will learn of the man, the legend, and his legacy. Alavi spoke with iRock Jazz and gave us the opportunity to metaphorically look through her camera lens and understand why she decided it was time to tell his awesome story. iRJ: Tell me how the film project came about. DA: It started in 2006. Wayne was touring with his quartet and composing for some of the best orchestras in the world. I asked him if anyone was recording these incredible concerts? He said, ‘No’ and my response was ‘I think it’s time that we start documenting your life,’ and that’s how it began. I have known Wayne since 1994 when Verve Records hired me to direct his EPK for High Life and we have been friends ever since. iRJ: What have you discovered in this process? What have you uncovered as a friend? Is it uncomfortable or awkward when Wayne has to be transparent about certain things? DA: It’s not awkward. It’s interesting, the more time I spend with Wayne; the more I uncover on an unconscious or unspoken level. I try to absorb his essence. He’s complex and elegantly simple at the same time. Nothing makes me feel uncomfortable about Wayne or being around him. I’ve never met anybody who lives so truthfully. In his music and in his words, there is never a false note. When you are in his presence he elevates the room. I feel like he lives on an elevated plane of consciousness and he brings that out in everyone who is around him. iRJ: Documentaries typically don’t’ make money in some cases, so why go into a project knowing that you may not make money at it? Is it difficult at this juncture to pull it off? DA: It’s not difficult to pull off but it can be challenging. 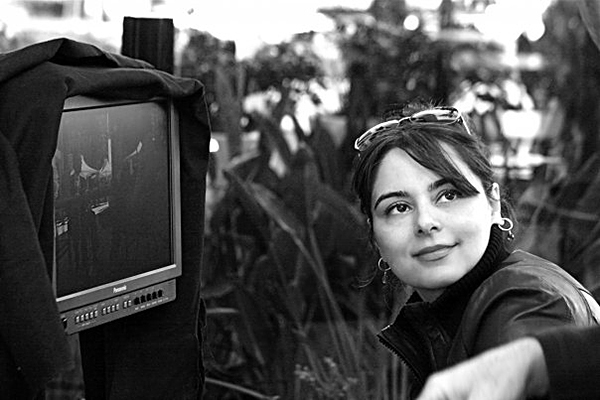 Money doesn’t flow easily for documentaries so you have to be creative in raising the funds. As a filmmaker, I’ve never chosen anything that I equate with how much money I am going make. Documentaries are passion projects. It’s a given that you are going to spend years making it so you better love the subject. There was an inherent desire to tell Wayne’s story because I love and have tremendous respect for him. But most important, Wayne’s distinct vision of life and music needs to be exposed to the public and I’m honored that he has given me the opportunity to tell his story. iRJ: Tell me about the love and support that you are getting from everyone that you come in contact with as far as this film is concerned. DA: Wayne’s closet friends and creative collaborators, Herbie Hancock, Esparanza Spaulding, Carlos Santana, Marcus Miller, the members of the WS Quartet and Michelle Mercer who wrote “Footprints”, have been incredibly supportive of the documentary. They want just as much as I do to get this documentary made and out to the public. As far as the jazz community, I’ve had an outpour of fans, journalists and bloggers that contact me and offer their help and just thank me for making the film. When I encounter people at his concerts and they find out that I am making the documentary on Wayne, they say, ‘It’s about time’ – they recognize the importance of documenting his legacy on film. iRJ: What about the content in the film? Will it cover some of the tragedies? DA: We want to capture as much as we can to depict a well-rounded portrait of Wayne’s life. The dark and the lighter aspects of his life work together. He has had his fair share of adversity and his internal process and how he overcame those obstacles is fascinating. I’m sure people would like to know how he dealt with the passing of Anna Maria and his daughter Iska as well as other pivotal moments in his life. 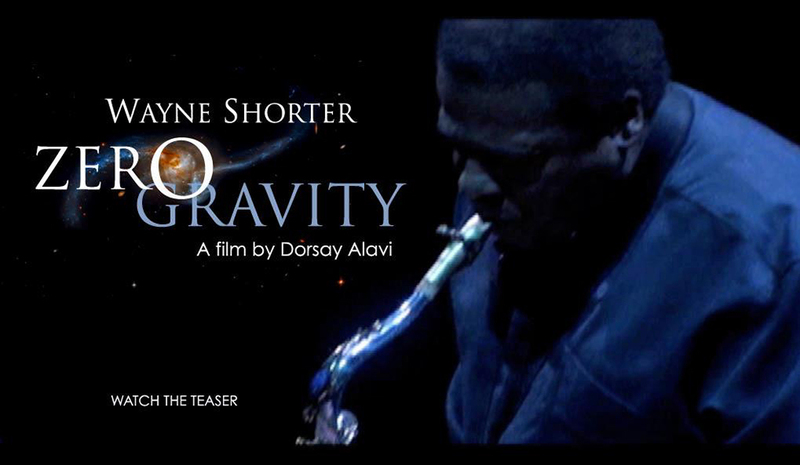 WAYNE SHORTER: ZERO GRAVITY DOCUMENTARY PLEDGE MUSIC CAMPAIGN VIDEO from Brave World Pictures on Vimeo. iRJ: When people walk away from this film, what do you want them to take away from it? What do you want them to feel? DA: I’d like people to understand that Wayne is not just a jazz musician. There are deeper aspects to Wayne Shorter. He is a fine example of what we all – I think should strive for. He is compassionate. He keeps an open mind. He’s a seeker. He activates his dreams. He is an innovator. He still questions. There is so much to know about Wayne that is inspiring and gives so much hope to humanity. It would be a gift to share that with the world. Wayne Shorter and Esperanza Spalding on the Zero Gravity set. iRJ: You and your husband are filmmakers. Tell us about that. DA: I went to film school at the University of California, San Diego and studied experimental and narrative film with some French New Wave filmmakers. 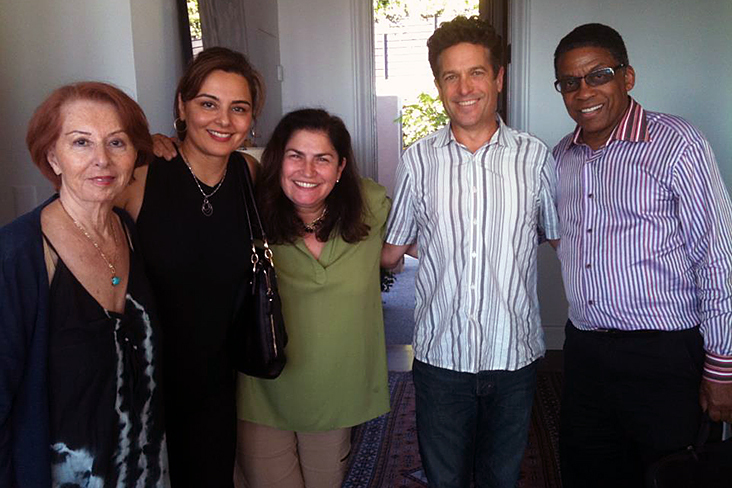 I moved to L.A. and focused on directing and writing in the early 90s. My first feature film, a surrealistic drama “Sweet Underground” was an independent film that played at the Los Angeles Film Festival and the Montreal World Film Festival. I directed music videos for Atlantic, Epic, and Verve Records and I directed a few commercials and short documentaries. I created a TV series called “Better People” and shot a pilot presentation and have written several screenplays and another television pilot called “The Ravens”. iRJ: Tell us about the fundraising and how people can contribute. DA: We started a Pledge Music campaign this month. Pledge Music is crowd funding site that actually works hands on with musicians and filmmakers to get their projects funded. They will post our campaign on their site to raise funds and to meet our designated goal however if we don’t meet our goal we run the risk of not getting the funds we raised. If we do meet our goal, they allow us to continue to raise funds for an entire year. We are essentially pre-selling our project, so people can go to the pledge site and buy a live stream, a digital download or a DVD. They can pledge to the project and their funds will help complete the documentary. We have rewards ranging from signed CDs, a Skype with Wayne Shorter, a voicemail recording with Wayne and Esperanza Spalding to dinner with Herbie Hancock and Wayne. People can also go to our Facebook page: www.facebook.com/WayneShorterDocumentary or our website: www.wayneshorterdoc.com and click on the pledge icon to make a pledge. For anyone who wants to contact us to volunteer, they can send a message through our Facebook page or through our Zero Gravity website at: www.wayneshorterdoc.com. iRJ: Why is this film important? DA: This film is for everyone who knows, loves and plays music. Our message moves beyond Wayne Shorter and what we know as jazz. We have been told over and over again by traditional money sources that there isn’t an audience for jazz; that people don’t buy albums or care to watch documentaries on jazz musicians. Of course this just gave us more fuel to do this on our own because we know there is an audience and jazz isn’t just a boxed in genre associated with 5 decades of music from the 20th century. This isn’t just a biopic about a legendary jazz musician. 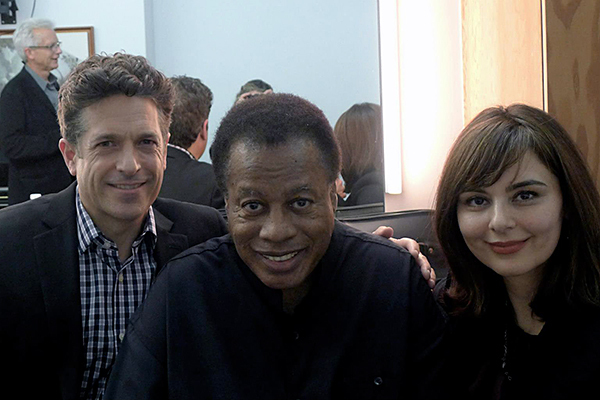 The reason Wayne Shorter’s life and music is important is that he opens your perception to the infinite possibilities of life and creating music. He unravels any genre or term associated with jazz. He is jazz history beaming into the future. This is very important for emerging and future generations of musicians to have someone with Wayne Shorter’s stature to lead by example. The obstacles he has faced throughout his career and what he has achieved as a by-product is not only inspiring but worthy of documenting as music history.